2. Preview the webpage. Make sure the images are uploaded to the web and view your webpage/newsletter in a browser. 4. In CRM, open a new email template, place your cursor in the body, and Ctrl+V or click the clipboard to paste the content. Wait a moment for all the images to load. 5. 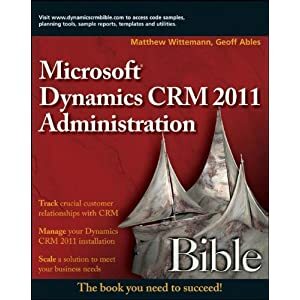 You will need to format the text manually inside the CRM template. Any text formatting from your webpage will not be retained. 6. Now you can add any dynamic fields. If you are creating a Contact template, you can add in contact.firstname, etc. using the insert/add fields button in the email template window. From here you simply select your email template, choose if you want it sent to all the listed contacts, and click send. You can also send it from a queue, which is handy so you don't have to have returned emails all pop back into your own inbox! Is there any way to get a HTML email that uses CSS to work in CRM. When I copy my web page from IE to CRM the table formatting works, images import and text imports but the CSS rules are absent so the page looks like a mess. Unfortunately there is no way to get CSS, whether inline or external, into a CRM email template. This is something that I have suggested to Microsoft (though I will be amazed if they include it). The best I am hoping for with the next version of CRM is an improved email design interface. I've been scouring the web for days and am hitting dead ends, even in the newsgroups. Haven't seen any way to use conditional HTML in an email in workflow, but most conditions should be able to be handled in the workflow rules themselves. I make a lot of use of subprocesses (manual rules called by another rule) to handle these kinds of scenarios. I'm hoping the MS will take action on this. From a marketing perspective this isn't as friendly as they make it out to be. HTML email campaigns are a MUST so I'm hoping that they will incorporate this. Wouldn't it be nice if MS CRM had the ability to easily create an HTML email, track the click thru's, open rates and bounces? Ok, I'll wake up now. Sorry. If anyone as advice or finds a way to do this I would be interested in knowing. I followed your instructions and ran into a problem with all of the emails getting stuck in my SBS 2003 Queue and pluging up the queue. this doesn not happne with emails sent from the WOrkflow Manager. Any ideas will be apreaciated. Btw....you can use inline CSS in Microsoft CRM 3. You can manage the layout but will not be able to provide hover on links though. Have you ever had an occasion where when copying and pasting the images and colors appear as you want them too only until you save the template? That's what I'm encountering. I've tried this and it works, but if I send out mail it just ends up in the unwanted mail and never in the inbox. Has anyone else had this problem? And maybe has an answer for this. Hi there. Thanks for your help on that John. I've look all around the world for ages and couldn't find anything about the process (with no development preferably) for a client to unsubscribe to the newsletter when received. This is mandatory when sending that king of email! Thanks in advance to anyone who could help me on that! CRM 3.0 lets you put an unsubscribe link in an email template. Basically you type in a sentence in your email, like "To unsubscribe from this list, click here." Then select the word "here" and press the unsubscribe button on the template design toolbar. This will make the selected text a mailto: link with the return address automatically set to the user account that installed CRM (I think that's the account it uses anyway - there's a dearth of documentation about this.) So basically you can then build a rule in Exchange/Outlook to alert someone when an email is received at this address and that person can manually update the contact record to change their email preferences. I think there may be some third party tools out there that will handle this automatically to save you some manual steps. If your organization sends out a lot of mass email, you might consider outsourcing it to a direct email provider in order to avoid getting your own mail server blacklisted. Any idea how to add an attachment and any idea how to use the email template in a marketing campaign activity. Seems like the only time you get to use bulk email in a marketing activity is when you use the outlook mail merge function. Matt ever come across anyone who has written a non SaaS HTML email template addon for MSCRM? I have a question, do you have any screenshots of this functionality? I want to try this but I have no experience with html and editors. Hope you can help me. By the way good blog.